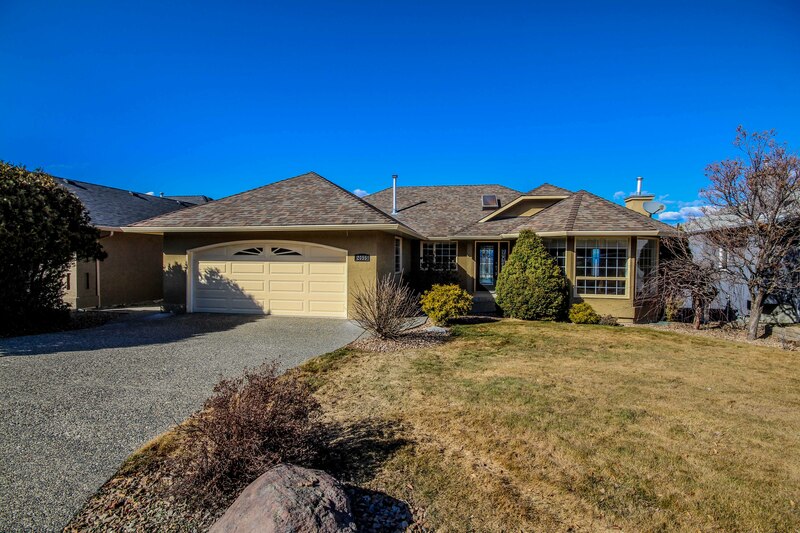 New Listing: 2055 Muirfield Road, Aberdeen, Kamloops, BC $649,900. Level entry Aberdeen rancher with gorgeous sprawling river and valley views. This home features a bright floor plan. The main entry leads to a living and dining room space. The kitchen has tons of storage and a centre island. The kitchen space is open to a second dining space or the perfect family room. Off of the kitchen there is a large patio to take in the views. There are 3 bedrooms on the main floor, a 4 piece main bathroom and a 4 piece ensuite. The basement level is partially finished, it wouldn’t take much to have it finished! There is a huge rec room that leads out to a second deck, space for a 4th & 5th bedroom, a finished 3 piece bathroom, laundry and tons of storage. This home has suite potential with a separate basement entry. The yard is useable and fenced, room for the kids or pets. Other features include central a/c, all appliances included, 2 car garage, irrigation, located in a desirable cul-de-sac location with Aberdeen elementary and transportation nearby. Quick possession possible.